Lies and dishonesty are toxic to human communication and an impossible obstacle to overcome when attempting to build trust. And because not everyone has access to a polygraph test, we try to pick up on body language cues, like the way people cross their arms or direct their gaze, to fill in the blanks for us. In short, we rely on our intuition. But as luck would have it, graphology (the study of a person's handwriting) could hold the keys to the truth. The letters "O" and "A"
According to Bart Baggett, the founder of Handwriting University, the way someone writes their lowercase "O" or "A" can be a decisive clue into whether or not they're lying. There's a difference between people who are naturally secretive (the ones who keep their personal affairs to themselves) and real liars. Although, secretive people may lie by omission, keeping things to themselves that they shouldn't just to save face. A secretive person writes their "O" with a circle within the "O" on the right-hand side. The larger the inner loop is, the more secrets this person keeps. More dangerous than the secretive people are those who deceive themselves. Self-deceiving people cannot tell the difference between truth and fiction. Their handwriting includes varying sized inner loops on the left hand side of their lowercase "O" or "A" letters. Purposeful liars write their "O" letters in a more obvious way, however. They combine loops on the right and left side of the lowercase "O" and "A." Significantly large inner loops are a sign someone is a pathological liar. 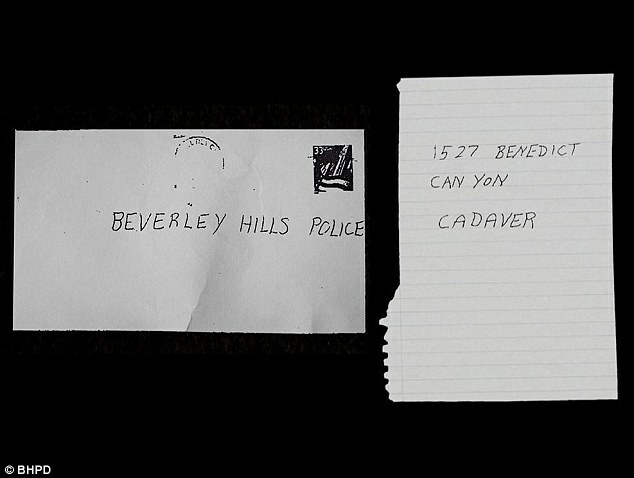 Fans of HBO's "The Jinx" will remember the famous scene when Robert Durst was caught in his own lie after he was shown that his handwriting matched the note that was sent to police after the murder of his long-time friend Susan Berman, as displayed in the above photo from Beverly Hills Police Department. Block letters in all caps, according to graphology, can be an indication of someone who is not comfortable disclosing any information about themselves. The lack of connection between the letters show an unwillingness or inability to relate to people on an interpersonal level, which also happens to be a characteristic symptom of the psychotic personality. So, if you happen to be dating a new boo, heading into a new job or feeling unsure about how honest your landlord is, pay attention to these helpful hints. Wouldn't you want to know if you're dating a psychopath?